« Where are the coffee drive thru’s in NJ? Editor’s Note: This winter we are focusing on new indoor places to play and create! 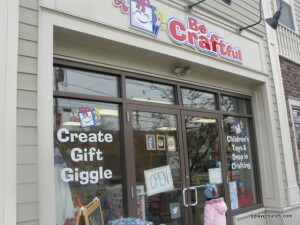 Our first crafty pick is Be Craftful, owned by Amy Bohoff, a longtime Fanwood resident. Amy has always been active on twitter, and our paths crossed in the social media world. So glad to check out her new business (about 6 months old right now). 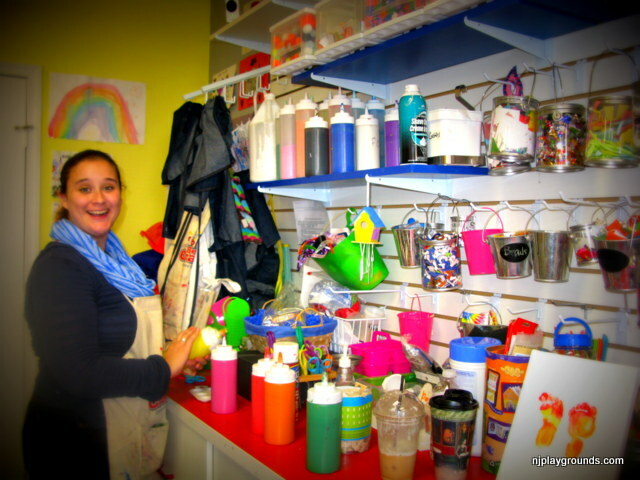 What sets her store apart is the versatility of the “craft pit” which allows kids an open play kind of outlet, instead of a structured commitment to a “class”. On with the review! Located on 250 South Avenue, Be Craftful opened about 6 months ago, summer of 2013, in a great location in downtown Fanwood. The train station is so close, as well as a bagel place, pizza place and a very cool coffee place we stopped in while we were there. 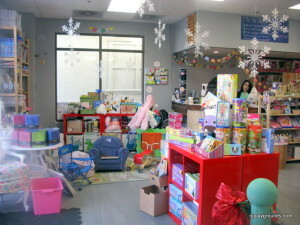 Be Craftful is located on busy South Avenue right by the train station and Maras Cafe and some other great shops. When you enter “Be Craftful, there is a store section to your left, and the craft pit is to your right. 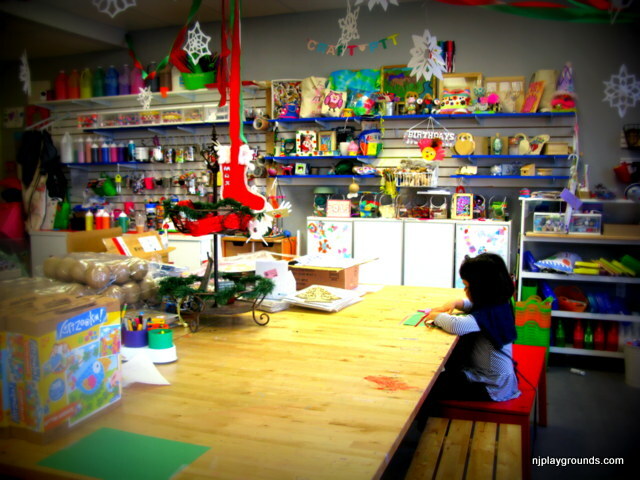 The sitting fee is $10, and then you pay for what craft you would like to do ranging from $2.99- $10. WEEKEND HOURS – PLEASE CALL IN ADVANCE, CRAFT-PIT MAY BE CLOSED FOR PRIVATE PARTIES. You should make sure you check their schedule to make sure there hasn’t been a party reserved, Amy will update it regularly. 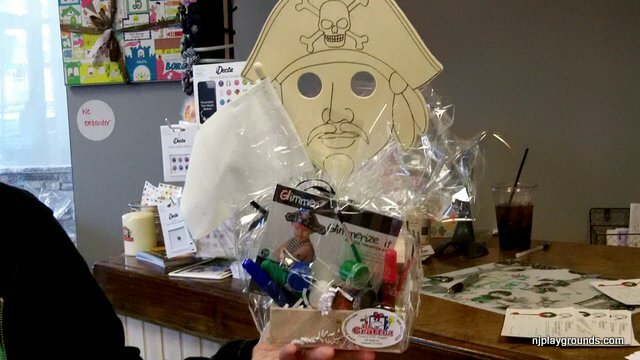 This is a great place to get a personalized picture frame for Grandma, or some cool masks and wands for your kids to pretend play with. Amy is great at exploring new products to add to her inventory. There are plenty of great crafts to pick from for all ages. We even picked up a paw print mold gift set for a close friend. Colleen and the paint center! Walking into Be Craftful, my daughter was so excited that she was there to paint and use glitter. 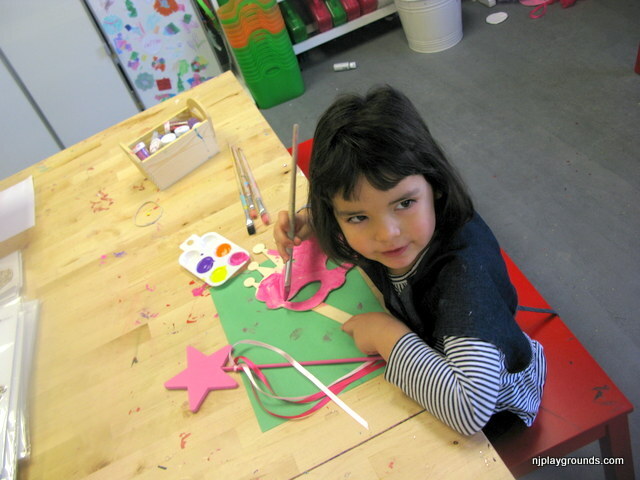 Although we are usually pretty crafty at home, we don’t really use glitter, and it’s nice to have a place you can drop in and let the kids make a mess and not worry about cleaning up. One of the other highlights of this place is that you can drop off the kids (ages 6+) for an hour while you run errands or meet up with a friend for coffee. If your kids are younger, I would definitely recommend stopping at Maras for a treat before you go home. They have coffee and lots of cool cupcakes. This is also not just for girls, they have plenty of crafts for boys too. We went on a day my sons had school so we look forward to returning and will report what their experience was like as well! I also was able to do some Christmas shopping too, this is the perfect place to pick up a birthday gift or even plan a party. Make a Day of It: We loved taking a train ride with the kids to get to new places, especially when the weather warms up, and this is a great stop (Raritan Valley Line, Fanwood Station). In the warmer weather, La Grande Park isn’t too far either, that boasts a great playground with sandbox and swings! Our full post is here. 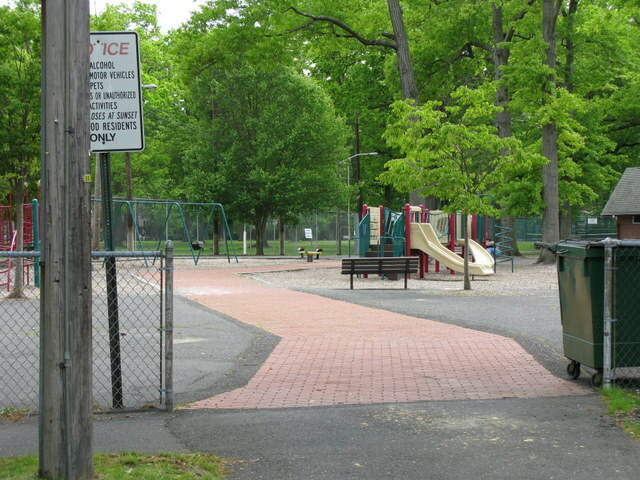 Check out our post on La Grande Park in Fanwood!